When my children bumped their head I used to reflexively put ice on their bumps for 2-3 minutes just to numb the pain a little and to make myself feel like I was being a useful and caring parent. For many years when I encountered an acute ankle sprain on the field, I would again instinctively and immediately place an ice pack on the sprained ankle for 20 minutes to numb the pain and improve recovery by minimizing inflammation …at least that’s what I was taught and assumed to be correct. There is certainly anecdotal and clinical evidence that ice has a temporary pain reducing and localized numbing effect (Hubbard et al 2004); therefore if ice is applied to simply numb an area post injury, then I guess it’s alright. However what about the claims that ice helps reduce inflammation? What about the claim that ice helps the healing process post acute injury? Even though there are some animal studies supporting the hypothesis that icing may have an effect on various inflammatory events at a cellular level (Bleakley et al 2010), that still does not support the belief that many have that icing is actually beneficial in humans in real clinical settings. In fact clinical trials on the efficacy of RICE (Rest, Ice, Compression, Elevation) have supported the use of compression but have found no value in icing (other than the temporary numbing effect already mentioned) (Hubbard et al 2004). In this short but likely controversial article I will be sharing with you the crazy idea that ice is not only ineffective, but may even be counterproductive to proper natural healing following acute soft tissue injuries. I have always been puzzled by the proposal that when an injury occurs, we must immediately act to reduce and eliminate inflammation. I just have one question to ask: why? Can anyone answer why the normal inflammatory response post acute trauma is not good for healing? For me it is similar to proposing that the blood coagulation mechanism that occurs after an acute cut is pathological and must be reduced. Why? Our mammalian ancestors spent hundreds of millions years evolving and specifically humans have spent about 7 million years in the making. Survival of a species relies on effective physiological repairing of an injury when it inevitably occurs. Do we truly believe that the body’s natural inflammatory response that has evolved over millions of years is somehow wrong? If it is not wrong, then why do we try so hard to prevent, minimize and reduce inflammation? When did inflammation after an acute injury become a harmful toxic agent that must be eliminated at all costs? Our ancestors did not have access to and did not dream about putting ice on an injured tissue. In fact, the majority of the population on earth still does not accept icing in managing injuries. In Chinese and Ayurvedic Indian medicine, icing is believed to be counterproductive; perhaps they have it right and western medicine has it wrong. Going back to basic physiology, we are all aware of the three phases of healing followingan acute injury- inflammatory, proliferation and remodeling. Describing the detailed physiology behind each phase is way beyond the scope of my knowledge and this article. Inflammation is an inevitable and an essential biological response following acute soft tissue injuries. It is a protective attempt by the body to remove the damaging stimuli and to begin the healing process. Acute inflammation results in vasodilation and increased permeability at the arteriole and capillary levels which are brought on by the actions of various inflammatory mediators. This allows more blood to arrive, and with it leukocytes and macrophages (white blood cells) to “clean up” the injured site. 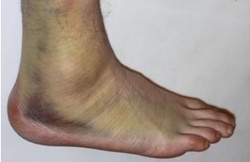 The build up of fluid, swelling or edema at the site should be considered a positive reaction as it increases sensitivity to pain (to prevent us from further injuring the tissue), restricts movement (to prevent us from further injuring the tissue) and allows the inflammatory process to progress (to help us repair the injured tissue). My only concern is that if we artificially “fiddle around” with the initial inflammatory phase of healing, are we not potentially influencing the final remodeling phase? It turns out that we may be negatively effecting tissue remodeling through our obsession to get rid of inflammation with icing and the use of non-steroidal anti-inflammatory drugs (NSAIDs). Does the body really need help in reducing inflammation? The lymphatic system naturally and slowly removes all the waste products and excess fluid buildup caused by the inflammatory process. While the circulatory system relies on the heart for continuous transport of blood through its vessels, the lymphatic system does not have a “heart” and therefore primarily relies on movement, skeletal muscular contraction and breathing for lymphatic drainage; this may be assisted by elevation and compression. Icing has been shown to reduce skeletal muscle contraction (Bleakely et al 2012) which may temporarily reduce optimum lymphatic drainage at the injury site. It has even been hypothesized that icing an injury may ironically restrict lymphatic flowand promote fluid build-up (Starrett K: Mobilitywod video link 2012). When ice is applied to a soft tissue for a prolonged period, the lymphatic vessels in the region increase their permeability resulting in large amounts of fluid exiting the lymphatics into the injured area, thereby increasing the amount of local swelling (Meeusen & Lievens 1986). In this experimental study (Takagi et al 2011), the muscle belly of the extensor digitorum longus of anaesthetized rats was crushed for 30 seconds using forceps, to which a weight (500g) was attached. Immediately after the injury the rats were randomly divided into two groups, the no icing group and icing group where they lightly placed fine crushed ice in a tiny polyethylene bag on their injured hind leg for 20 minutes. At 12 h and 1, 2, 3, 4, 5, 6, 7, 14 and 28 days after the injury, their injured muscles were microscopically and physiologically analyzed. I have summarized and have very much simplified the results of this study in the following chart. As health care providers we must ask ourselves if the temporary (20-30 minutes) pain reduction and numbness is worth the potential hindrance to the proper maturation and collagen formation. The Cochrane review on low back pain (French et al 2006) concludes that to date there is some evidence supporting the use of heatevidence on the use of cryotherapy. An analysis of 11 trials involving 868 patients (van den Bekerom et al 2012) concludes that there is insufficient evidence from randomized controlled trials to determine the relative effectiveness of RICE therapy for acute ankle sprains. The most recent systematic review (Bleakley et al 2012) based on 35 clinical trials suggests that athletes may in fact be at a performance disadvantage if they return to their athletic activity immediately after 20 minutes of icing. Another systematic review (Bleakley et al 2004) based on 22 clinical trials concluded that the effect of cryotherapy on acute injuries such as muscle strains and contusions has not yet been shown. Here is a direct quote from the paper, “There was little evidence to suggest that the addition of ice to compression had any significant effect”. Icing of sore muscles after a hard athletic workout is commonly thought to help recoveryand promote earlier return to activity. This experimental study in fact demonstrated the opposite to occur (Tseng et al 2013). After performing 6 sets of heavy eccentric triceps workout, half the athletes were randomly allocated to receive either 15 minutes of cooling ice pack or a sham pack. After 2 and 3 days the icing group had significantly greater creatine kinase and myoglobin (signs of muscle overload) and the athletes subjectively reported of having more triceps fatigue than the sham ice group. “These data suggest that topical cooling, a commonly used clinical intervention, seems to not improve but rather delay recovery from eccentric exercise-induced muscle damage”. Are you kidding me? We’ve been putting ice on thousands of professional and amateur athletes, and on thousands of kids in school playgrounds. You mean to tell me after all these decades we don’t yet have a single study to support the use of ice with respect to enhancing tissue healing and hastening recovery? Could it be that the use of ice has been a hoax? We have all been somehow duped to believe that ice is so effective that it did not even require scientific scrutiny and supportive evidence. Based on the evidences presented in part 1 of this paper, a paradigm shift is proposed for the use of ice post acute soft tissue injuries. The part 2 of this paper will propose a paradigm shift for the use of NSAIDs post acute soft tissue injuries and will review the evidence on their potential adverse effects on healing,recovery and injury reoccurrence. 1. Bleakley C, McDonough S, MacAuley D. The use of ice in the treatment of acute soft-tissue injury: a systematic review of randomized controlled trials. Am J Sport Med. 2004; 32:251–261. 3. Bleakley CM1, Costello JT, Glasgow PD. Should athletes return to sport after applying ice? A systematic review of the effect of local cooling on functional performance. Sports Med. 2012 Jan 1;42(1):69-87. 4. French SD1, Cameron M, Walker BF, Reggars JW, Esterman AJ. 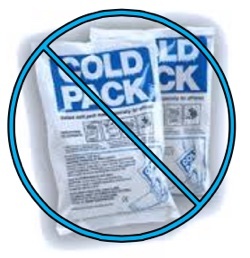 A Cochrane review of superficial heat or cold for low back pain. Spine (Phila Pa 1976). 2006 Apr 20;31(9):998-1006. 5. Hubbard, TJ, Denegar, CR. Does Cryotherapy Improve Outcomes with Soft Tissue Injury? J Athl Train. 2004 Jan-Mar; 39(1): 88–94. 6. Meeusen R, Lievens P. The use of cryotherapy in sports injuries. Sports Med. 1986 Nov-Dec;3(6):398-414. 9. Tseng CY1, Lee JP, Tsai YS, Lee SD, Kao CL, Liu TC, Lai C, Harris MB, Kuo CH. Topical cooling (icing) delays recovery from eccentric exercise-induced muscle damage. J Strength Cond Res. 2013 May;27(5):1354-61. Certainly is food for thought and the need for more research on the use of ice is needed. I’m not sure the researche is definitive. You bring up some good points, however. But, I think that more research needs to be done on the types of injuries, the amount of swelling, and the type and amount of inflammation. For example, a crush injury of the foot can cause compartment syndrome. So, this is an example of a certain amount of inflammation and swelling which is bad and can cause amputation and loss of the foot. Therefore I think that swelling and inflammation is a continuum. Just like a fever, some fever can be good but too much is bad. Therefore, let’s not throw out the baby with the bath water just yet. 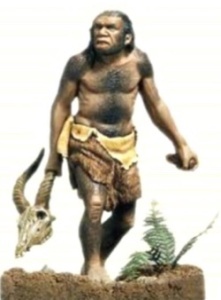 Our cavemen ancestors didn’t have ice or antibiotics. We have both. Therefore, I think that we need to use science to figure out when to use ice and when not to use it. …you make a great point about abnormal and dangerous swelling as in compartment syndrome, but we have no evidence that ice actually REDUCES swelling or it’s just our imagination. Thanks for a great article. 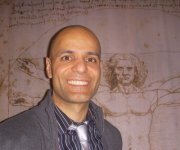 I am a Chiropractor and I am only just starting to explore the research for R.I.C.E. I have always just taken it for granted. My daughter sprained her ankle today at school. The school phoned me and I requested that ice not be applied to the injury. It apparently caused great consternation at school. I did some efflurage, applied a compression bandage and elevated the foot. Waiting to see the result. Might ice tomorrow if the area is still sore. Always a battle to go against the status quo. Sometimes wonder if it is worth it. Progress cannot be made without challenging the status quo, yet early challengers are frequently made pariahs and labeled madmen Step up and challenge, Msr. Chiropractor. Based on evidence, of course! I feel schools ice as to say they at least did SOMETHING for a bruise or a bump on the head. I am SO SO happy to find this article! I have been screaming for years at the top of my lungs to stop icing everything because when you freeze the tissue and slow it all down we can not get macrophages (our favorite little healing guys) to come in. People think I am crazy! I am so tired of trying to undo RICE and PRICE in my clinic. Wasted time, slowed down healing, missed opportunities for collegiate bound athletes, etc. I am so happy you wrote this. I agree 100% about tissue, ice and the NSAIDS! Thank you! Thank you! I am printing this now and sent it to all of the therapists! Do you really believe efflurage does anything other than perhaps alleviate pain to some degree? Legitimate question. Challenging what we believe is right can be uncomfortable since that is what we are taught to do, yet it is also necessary for improvement. We are concerned about the pain and the swelling -these are signs that tells us that something is wrong. But if the idea that cryotherapy does more harm on the long run, then we must change our views on pain and swelling as a natural healing process more than an inconvenient circumstance. 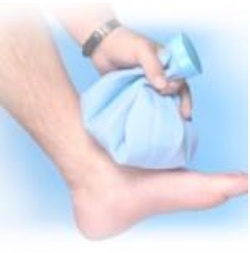 The basis of your criticism of ice therapy is based on studies that used an insulator to contain the ice (i.e. polyethylene bag). If you want to keep bringing up the caveman analogy, polyethylene wasn’t invented then. Why anyone would put an insulator between the ice source and the skin is beyond me. An insulator will concentrate the cooling effect into the superficial tissue, and more likely irritate and possibly burn these tissues. Less cooling will penetrate deeply into joints, ligaments, and tendons where it is needed. ANyone with several decades of rehab experience in acute and sub acute settings knows the true value of ice therapy. Further, consider an acute gout attack, arguably the most aggressive inflammatory condition known to man. Once again, anyone who has experimented with ice or heat, knows ice is unquestionably superior to anything else, including a compression bandage. Heat on the other hand can exacerbate pain immediately, despite calcium crystal formation being alleviated by heat. As for anti-inflammatory therapy, a cortisone injection gives immediate and absolute relief to gout. Yet again, too many without decades of clinical experience are prepared to throw out the status quo without comprehending the limitations of a few restricted paradigm studies (that use polyethylene enclosures). I would caution younger generations not to elevate scientific studies with limited criteria to levels they do not deserve. The scientific method is not served well by dilettantes jumping from one position to another on the basis of a minority of studies. Thank you for your feedback. 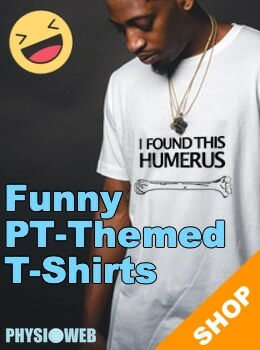 I have 24 years experience as a PT so I am not “new”. I am just stating that the science does not support ice reduces acute soft tissue inflammation post-trauma. We have no studies on gout so I can not comment. MDs had decades of experience with blood letting but it turned out to be more harmful and it killed more people than it saved. I still prefer to trust multiple studies done over several years across the globe disproving ice, versus anecdotal experience. I haven’t finished reading part 1 but part 2 was of more interest. I would take it one step further and suggest that not only do NASAIDs inhibit healing, as has been demonstrated in Rotator cuff injuries, but that it may trigger an auto immune response, i.e. ra or PMR. My husband injured his Right Rotator cuff lifting a bag of the carousel at the airport. As is his usual practice, he took Naproxin and Acetaminophen as suggested on the bottle for three weeks. At the end of the holiday he developed swollen hands, knees, ankles and feet. He also had pain in his wrists and his left shoulder. After 4 weeks, I decided that it may be a result of the Naproxin and he stopped taking it and visited a GP who after MRI showed small Interstitial tear in the Supraspinatous. The swollen hand were pointed out to the GP who reluctantly put him on a weeks course of Steroids. The swelling went down the next day but returned as the drug tapered off. He recommended the Naproxin with moderate effect but no reduction in swelling. As he gradually became more debilitated we ended up going to a Rheumatoligist who has take blood tests to diagnose his condition. After 4 weeks we started him on acupuncture for the shoulders which helped ROM significantly. We await a diagnosis on Prednisone which has made an improvement after two days. Your raised points regarding the natural healing cascade which NSAIDs obviously interfere with and this was my concern and now I believe this has also triggered an Auto immune response. I agree that as clinicians we need to use the best available evidence to support our clinical decisions. The question with ice after injuries, is what does it do to help tissue healing? That is a question I don’t think we can answer right now.